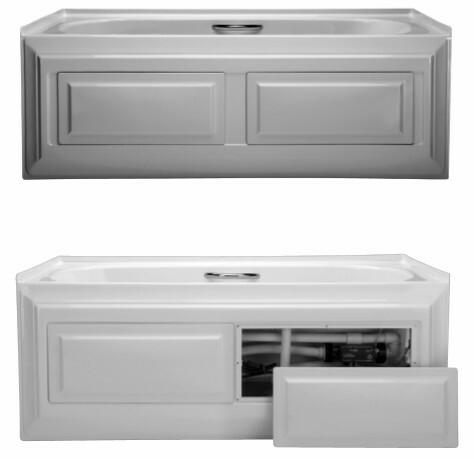 The Santa Clara is an integrally skirted whirlpool featuring convenient access panels and an integral tile flange. The Deep, Extra-Long Bathing Well enhances a more standard tub design by adding Lumbar Support and two Arm Rests, giving the bather all the benefits of a larger whirlpool in a replacement size bath. This whirlpool offers seven pressure adjustable hydrotherapy jets, including one recessed Rotary Massage Jet, two StressEaz Jets and four Full Size Pressure-Flo Hydrotherapy Jets. Choose the whirlpool with water jets or the air-whirlpool for air & water jets. 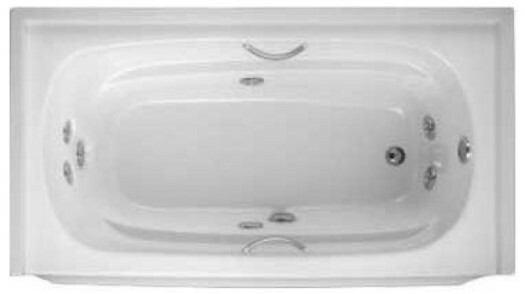 Tub Size: 60" x 35" x 23 1/2"
Depth to Overflow: 17 1/5"